This Lamp Has The Coolest Switch | OhGizmo! By David Ponce on 01/19/17 • Leave a comment! Look, we’re actually getting excited about the switch on a lamp, which might sound sad until you realize it’s actually really cool. 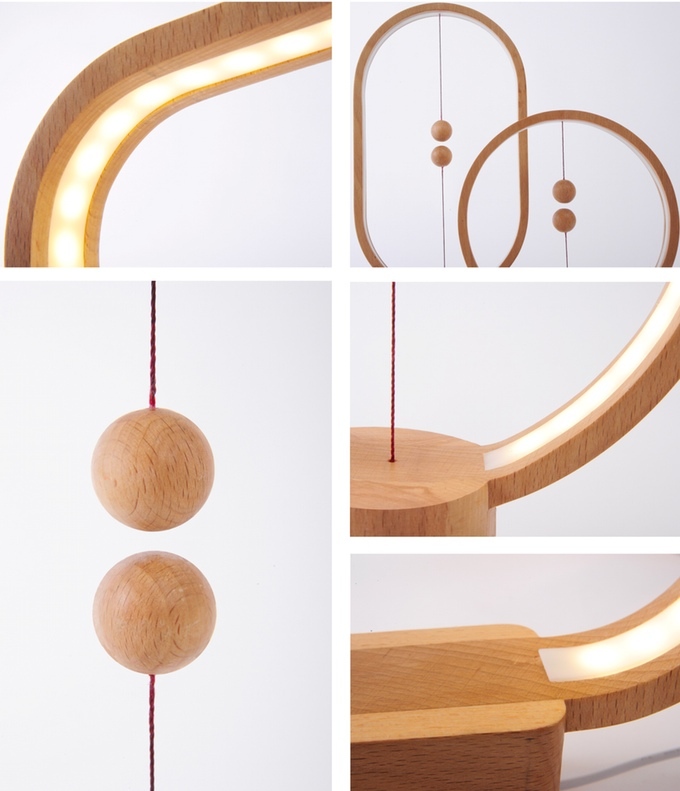 The Heng Balance Lamp doesn’t turn on like a regular lamp: “HENG lamp has a switch structure of two balls inside the wooden frames with embedded magnets. By moving them, these magnets will attract one another, thereby triggering the switch.” It’s not life changing, but it’s a cool design element that’s actually entirely fundamental for the device’s functioning. The lamp itself isn’t life changing at all either. It’s really just a nice looking lamp with two magnetic balls that serve as a switch. But when you realize it’s only a €42 ($44 USD) pledge, and not some ridiculous sum that these types of things usually cost, then it becomes even more attractive.